Following the making of a stogie by time and hand. Simply, a cigar is a tight roll of leaves. But to make one isn't so simple. 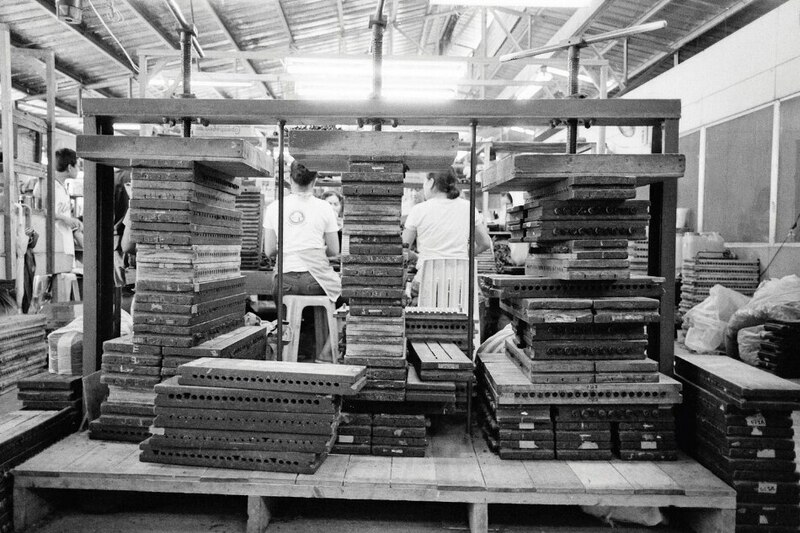 Cigars begin their life on a plantation. A tobacco plant takes around five months to grow. The quality of a cigar depends on the soil and the climate of the place the tobacco is grown, the superiority of the actual leaves, and the manner in which the leaves are transported to the factory. 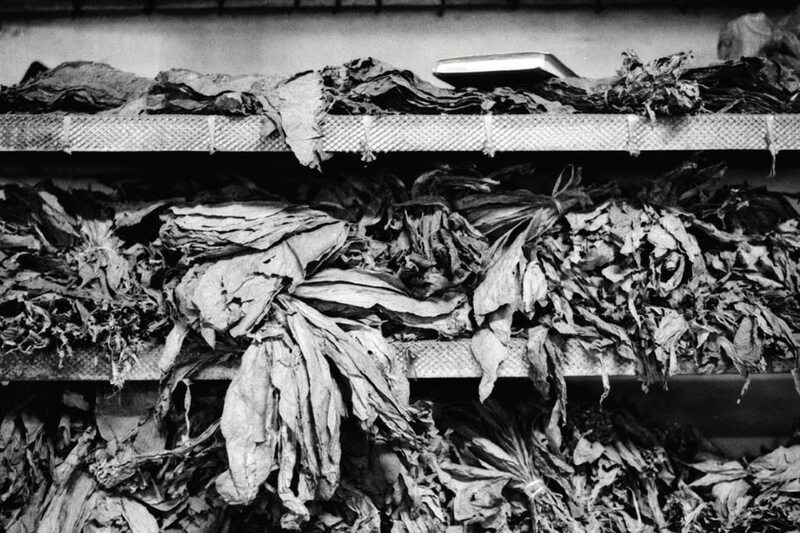 Dried tobacco leaves being aged. The leaves are harvested and cured to reduce the sugar and water content without causing the leaves to rot or completely dry. The curing takes from between seven days to ten weeks, depending on the method used. Once cured, leaves are aged or fermented for at least two years, according to the manufacturer's specifications. The leaves are baled and stored in warehouses. Temperature and humidity are controlled so they don't rot. This is the stage where the taste, aroma, burning, and other characteristics of the leaves emerge. Tabaqueria de Filipinas, Inc. still uses antique cigar molds. 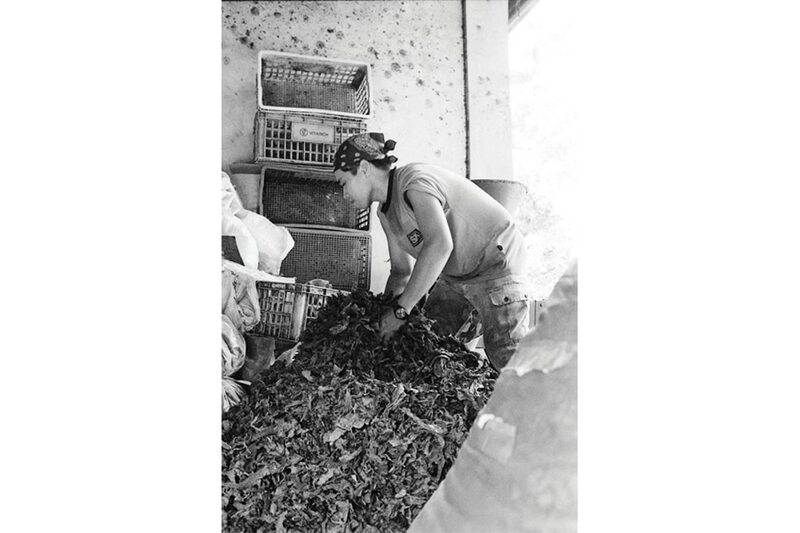 Once the leaves are aged, they are sorted into three categories: filler, binder, and wrapper. These are the parts that make a cigar. The filler is what you smoke. The binder holds the filler together. 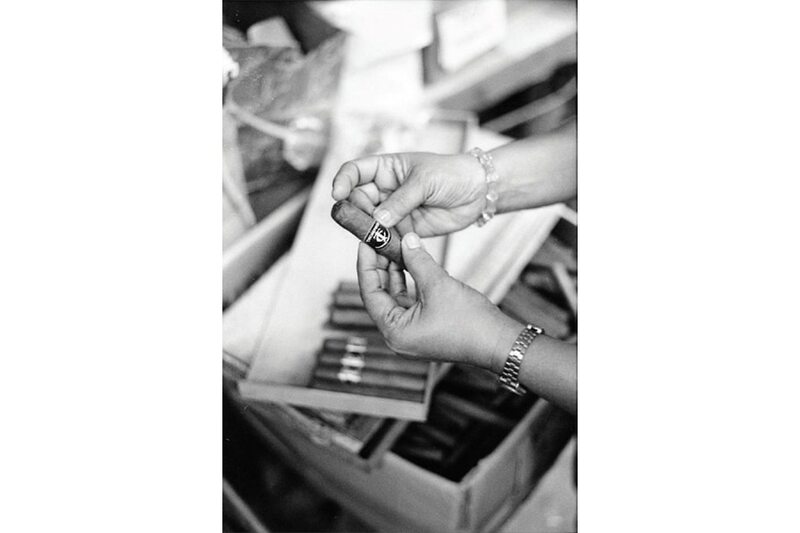 Quality cigars are hand-rolled as they have been for hundreds of years. 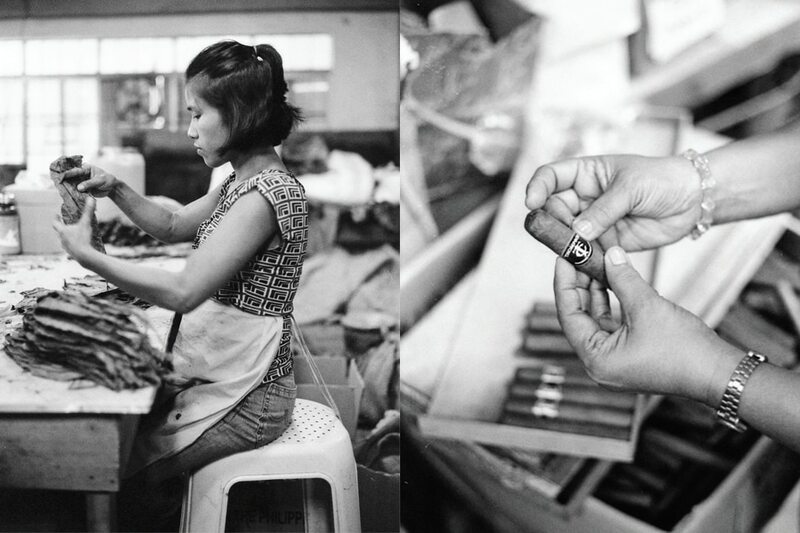 An experienced cigar roller can produce hundreds per day with nearly the same quality. 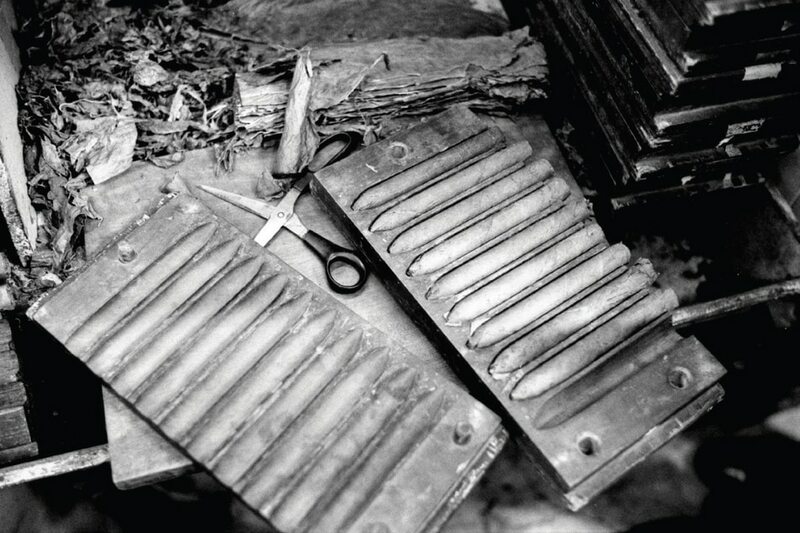 Rolled cigars placed in a mold to be pressed and formed. 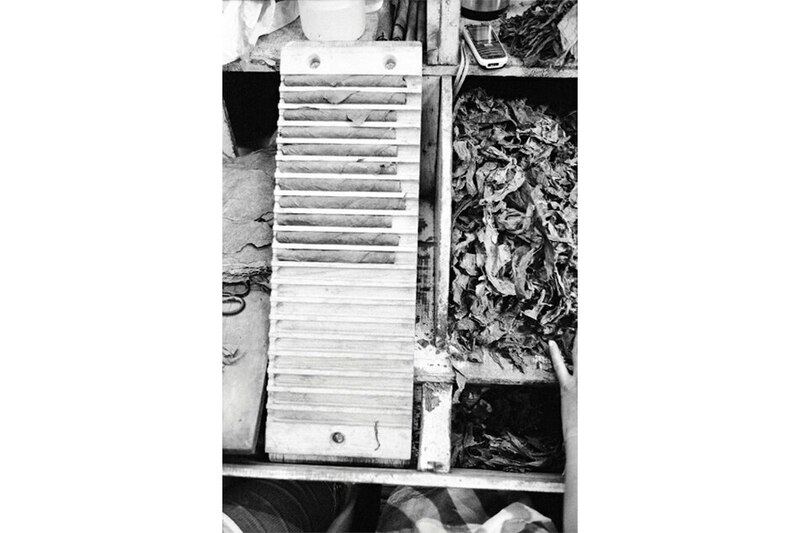 After pressing, excess tobacco is cut. Quick and precise hand movements ensure a neat, hand-rolled appearance. Lastly, distinctive labels are slipped onto the cigar. 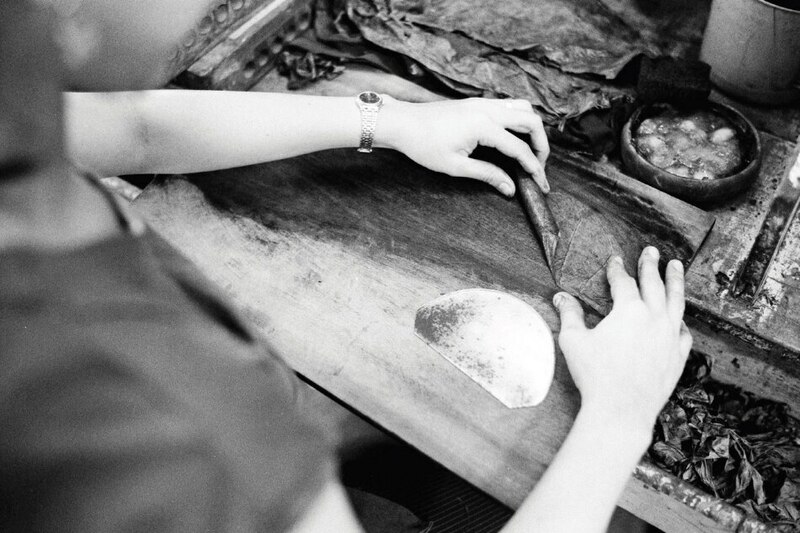 A worker personalizes a custom-made humidor for cigar storage. Enjoying the fruits of his labor: a good smoke. The rolled cigars are kept in wooden molds overnight to retain their shape. They are then wrapped with the outer leaf. The best-looking leaves are reserved for wrappers. The process alone, involving time, care, and skill, makes it clear why cigars cost as much as they do. That is why cigars aren't just enjoyed, they're savored. This article first appeared on Vault Magazine Issue 2 2011.